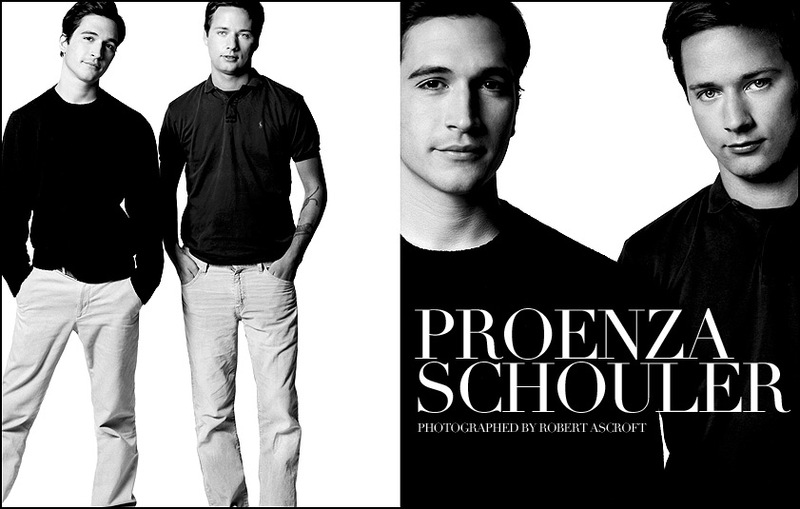 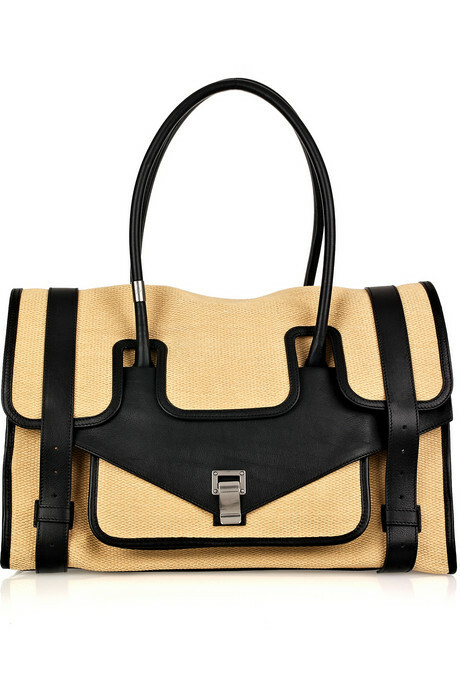 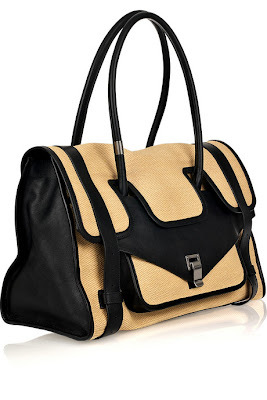 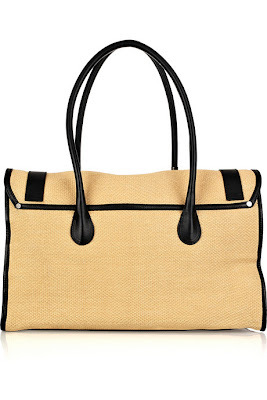 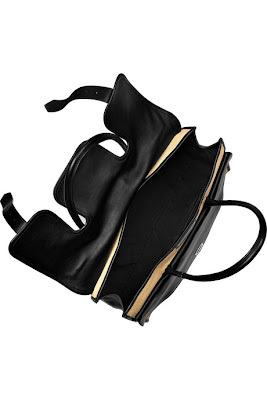 I am so obsessed about Proenza Schouler PS1 bags! it's so utility chic mixing uptown chic with downtown cool kinda look, it's already a big hit among all the fashion editors & celebrities that everyone wants one of this bag! 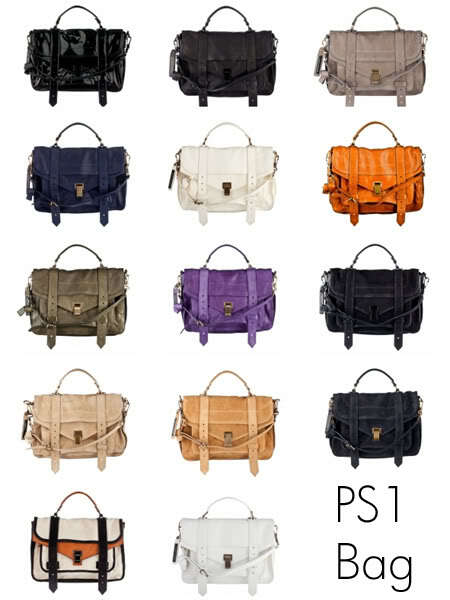 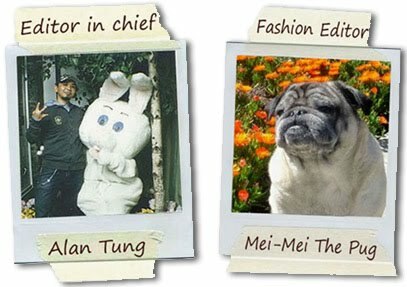 Now as the spring/summer of 2011 is approaching, these two design duo has just giving all of us fashionistas something to drool over for, the "PS1 Keep All Leather & Straw Bag". 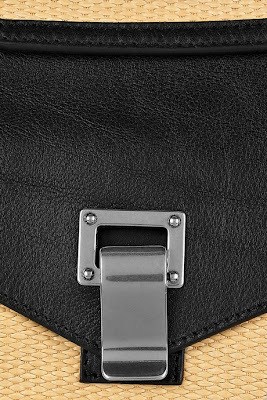 It has two top handles, a gunmetal lock-fastening fold-over flap, a compartment beneath flap, buckle-fastening strap details, internal zip-fastening and pouch pockets and is fully lined in black twill. Width 17" / 43cm, Height 14" / 36cm, Depth 58" / 148cm, Handle Drop 9" / 22cm a perfect size bag to carry all of your stuff to work, weekend shopping in the city!